HDMI_RX_HSMC is a HDMI receiver daughter board with HSMC (High Speed Mezzanine Connector) interface. Host boards, supporting HSMC-compliant connectors, can control the HDMI daughter board through the HSMC interface. 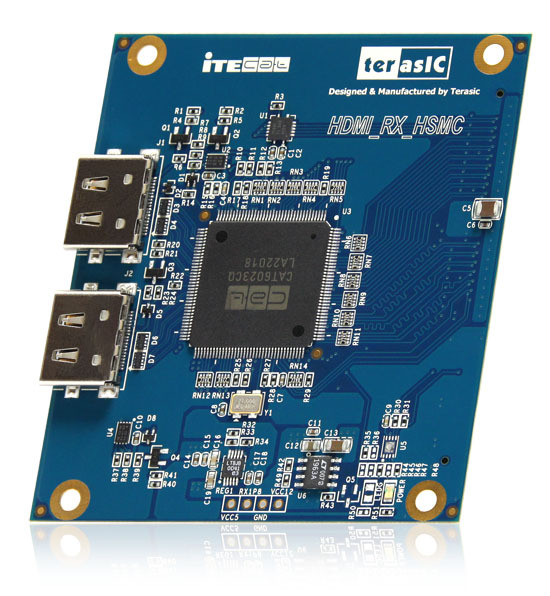 This HDMI_RX_HSMC kit contains complete reference design with source code written in Verilog and C, for HDMI signal receiving. Based on reference design, users can easily and quickly develop their applications.